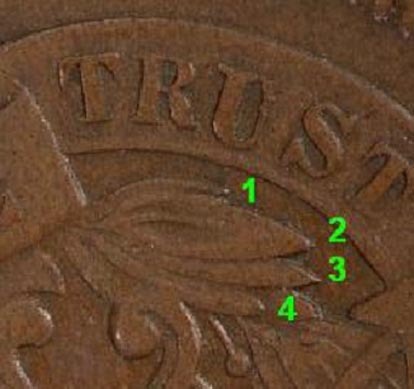 The easiest way to diagnose a small motto 2 Cent coin when you do not have a Large Motto to compare is to check these three features. 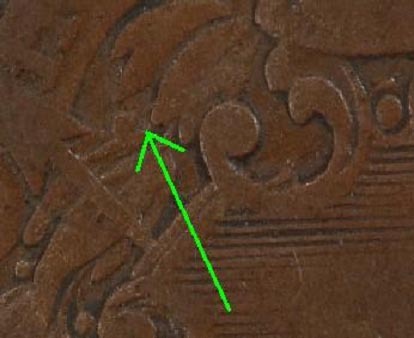 On the left had side of the coin the berry has a straight stalk for the small motto. 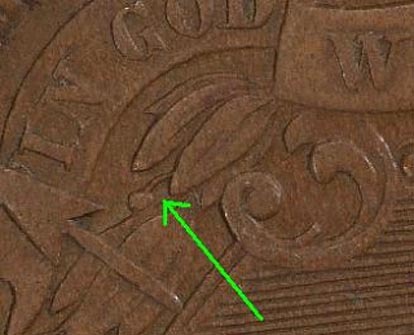 On the left had side of the coin the berry has a curved stalk for the large motto. 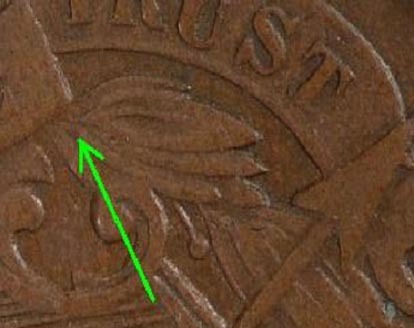 On the lower right of the Center part of the Ribbon the stalk for the leaves is curved and joins the ribbon about two thirds of the way towards the shield on the small motto. On the lower right of the center part of the ribbon the stalk for the leaves is straight and joins the ribbon about one third of the way towards the shield on the large motto. On the right hand side below the ribbon there are three leaves on the small motto. On the right hand side below the ribbon there are four leaves on the large motto. 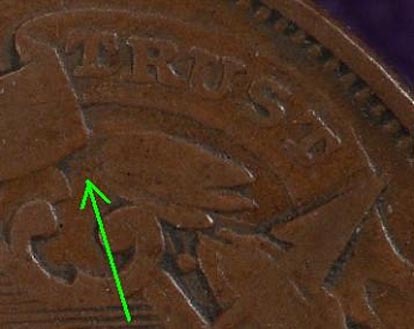 Some or all of these features should be easily identifiable even in well worn coins.